Similar bills have failed several times before in California, and to become law this one must still get through the state assembly and be signed by the governor, Jerry Brown, before September 11th. On June 23rd the bill’s authors delayed a vote in a committee of lawmakers to give them time to muster more support. Religious groups, particularly Catholic ones, are lobbying against it—and Mr Brown is a Catholic who once considered becoming a priest. But several lawmakers say they were persuaded by Ms Maynard’s appeal; before dying she talked to the governor by phone. And since 1973 Gallup, a polling organisation, has found majorities in favour of legal doctor-assisted dying across America. Bills and legal cases are in progress in around 20 American states, and in Britain, Canada, Germany and South Africa. Not all will succeed: last month the Scottish Parliament voted 82-36 against an assisted-dying bill, and earlier this month Lecretia Seales, a New Zealander dying of brain cancer, had her request for doctor-assisted dying refused by the courts, which said the matter was for parliament to decide. In 2012 a ballot initiative in Massachusetts, the most Catholic American state, was narrowly rejected. But even failures put the cause in front of a wide audience. It has gained high-profile supporters: in 2011 Terry Pratchett, a novelist who recently died of a rare form of Alzheimer’s, presented a passionately argued documentary about a motor-neurone-disease sufferer who ended his life at a Swiss clinic before he became incapacitated. Doctors have long quietly eased terminal agonies by increasing pain relief to life-shortening doses. Under the doctrine of double effect, as long as the intention was to relieve suffering rather than hasten death, no crime was committed. What the doctor really intended was hard for anyone else to know, let alone prove. But more deaths now happen in intensive-care units under closer legal and professional oversight, making doctors more cautious about testing the limits of what is allowed. And modern medicine means that dying is much more often prolonged. The case of Karen Ann Quinlan in 1976 thrust the issues into the spotlight. The parents of the young woman, who fell into a coma after drinking and taking Valium at a party, had to go to court to force her doctors to take her off a ventilator. After a string of similar cases around the world, most countries now accept that patients or, if they are incapacitated, their relatives, may insist that unwanted life-sustaining treatment be withdrawn. That offers a way out for some of those who long for death. Someone who needs a ventilator to breathe, for example, can demand that it be removed. But what if there is no life-sustaining treatment to withdraw? Understandably, doctors are rarely willing to step decisively outside the law. When they do, though, their fellow citizens are strikingly unwilling to condemn them, perhaps out of sympathy for the difficult choices they make, and in the hope that if it comes to it, their own doctors will act to shorten their pain. Jack Kevorkian, an American doctor who by his own admission helped at least 130 terminally ill people to die, gained such notoriety that he was nicknamed Dr Death and united the medical profession in condemnation. Three times juries acquitted him on charges of assisting suicide; only when his killing of a patient by administering a lethal drug was broadcast on television was he convicted for homicide. He served eight years of a nine-year jail sentence. In 1991 Timothy Quill, a palliative-care doctor now at the University of Rochester, wrote an article in the New England Journal of Medicine describing his decision to prescribe barbiturates for an unnamed patient who was terminally ill with leukaemia, knowing that she intended to use it to kill herself. Though he was investigated, a grand jury declined to indict him. For a long time Switzerland was the only place where it was legal to help people to die, rather than passively to allow them to do so. After centuries in which suicide was a crime (meaning that those who tried and failed to kill themselves risked prosecution or their possessions being forfeited), most countries have removed such laws from their statute books—some rather recently; suicide was only decriminalised in Ireland in 1993 and in India last year. Most kept penalties for assisting a suicide, but Switzerland’s law, passed in 1942, barred it only if the motive was selfish, for example to get an inheritance. Then in 1994 voters in Oregon passed the Death with Dignity bill which, after legal challenges, came into force in 1997. It requires two doctors to agree that the person requesting help to die has less than six months to live and is of sound mind. Also in 1997, Colombia’s constitutional court decriminalised doctor-assisted dying, but since it gave no guidance on when it would be acceptable, few doctors were willing to offer it. (A panel of senior judges is now considering draft rules produced by the health ministry.) In 2002 the Netherlands, which for decades had turned a blind eye to doctors prescribing lethal medicine for the terminally ill, legalised the practice—and extended it to those who, though not close to death, found their suffering unbearable. Belgium followed the Dutch example shortly afterwards. Each of these countries has had assisted dying for long enough to answer some questions: whether it is used as a cheap alternative to palliative care; whether tight rules are relaxed over time; whether it weakens the doctor-patient relationship; and whether the ill and dying feel themselves under pressure to finish themselves off rather than be a burden on relatives. But other thorny questions are about values, and cannot be answered by gathering data. Opponents see deliberately ending a human life as always wrong; proponents think it can be an expression of autonomy. Some disabled people feel that allowing a life to be declared ready to end, even by the person living it, devalues the lives of all others suffering in the same way. Others regard it as recognition of disabled people’s individuality. The differing approaches are being eyed for lessons by lawmakers around the world. “Just a small charity with a huge workload”: that is how Silvan Luley, one of its organisers, describes Dignitas, an assisted-dying clinic that has become synonymous with Switzerland’s reputation for “suicide tourism”. Each year several hundred Swiss residents die with a doctor’s help, most of them at EXIT, the largest clinic, which does not accept foreigners. Since Dignitas, which does, was founded in 1998 more than 1,700 people from more than 40 countries have ended their lives there. Some of their tragic stories and bitter choices have made headlines back home. In 2008 Dan James, a 23-year-old who had become almost totally paralysed in a rugby accident a year earlier, died in Dignitas; his parents said he had come to regard his body as a prison and was “not prepared to live what he felt was a second-class existence”. They accompanied him to Switzerland and were investigated on their return to England for assisting a suicide, though it was eventually decided that prosecution would not be in the public interest. Last month another Briton, Jeffrey Spector, who had an inoperable spinal tumour and felt that his condition was deteriorating, killed himself in Dignitas too. “I know I am going too early,” he said before he died. But he feared suddenly becoming paralysed and unable to make the journey unaided if he waited. For critics, the lax Swiss laws mean some are helped to die who should have been helped to live: Mr James’s condition was not life-threatening, and Mr Spector was still quite well. Though late-stage cancer sufferers are still the majority, the share with non-fatal illnesses is growing. The clinics respond by pointing to their own rules, which say that they will only help those who show a “consistent wish to die” and are terminally ill or suffering “unendurable pain or disability”. Patients are interviewed to confirm that the decision is theirs, and must take the fatal dose themselves. Assisted suicides are recorded as unnatural deaths and investigated by the authorities. No malpractice case has ever been brought. According to Mr Luley, a big part of Dignitas’s “huge workload” is counselling: its main task is not to give assistance in dying, but suicide prevention. Very few who contact the clinic go through with killing themselves. Assisted suicides account for under 1% of all deaths in Switzerland, less than half the number who kill themselves by other means. That final step takes so much courage and determination, says Bernhard Sutter of EXIT, that those who do so are far from the weak and vulnerable preyed on by the death-mongers of sinister myth. The Swiss, he adds, cherish self-determination, including the right to choose the manner and timing of one’s death. Citizens ofZurich, where Dignitas is based, voted in 2011 against banning assisted suicide or restricting it to Swiss residents, as some troubled by the tag “suicide tourism” wanted. All the same, it is Oregon’s more restrictive rules, which exclude people with serious but not fatal afflictions, that are likely to be copied elsewhere. Though the number helped to die has risen over time as awareness of the law has increased, it remains very low. Since 1997 just 1,327 people have received prescriptions for lethal medication, of whom only two-thirds have taken it. And there is no evidence that the eligibility requirements have slipped: about four-fifths have had terminal cancer. Doctors must brief patients on alternatives such as pain medication and hospice care. A second doctor must review each case. Doctors have been investigated for breaches just 22 times. Each appears to have concerned a logistical issue, such as failing to file paperwork on time. None resulted in a sanction for unprofessional conduct. Some, in America and elsewhere, think that the demand for assisted dying would shrink if other options for dying patients, such as hospice care, were more widely available. But research by Clive Seale, a sociologist at Brunel University in London, suggests otherwise. He found that terminal-cancer patients in British hospices were more likely, not less, to consider doctor-assisted dying than those in hospitals. To enter a hospice, patients must accept that they are close to death, he points out. They are planning their deaths, and such people often consider all their alternatives. For some supporters, that is too narrow. In 2009 Debbie Purdy, who was severely disabled by multiple sclerosis, brought a case that forced England’s director of public prosecutions to formalise his policy of not prosecuting those who accompanied others to Swiss clinics. “Permission to get help to die felt like permission to live, to enjoy life as much and for as long as I could,” she wrote in a newspaper article published posthumously in January. In the end she opted to die in an English hospice by rejecting food and drink to spare her husband lingering worries about being prosecuted if he helped her travel to Switzerland. Though she endorsed Lord Falconer’s bill, she described it as “simply not good enough”, since it would cover only the terminally ill and not those with chronic, incurable conditions such as hers. Last year Steven Fletcher, a Canadian MP who has championed assisted dying for some years, brought a private member’s bill before the country’s parliament. Though also modelled on Oregon’s law, it would have extended eligibility to those who have major disabilities or suffer chronic medical issues that cannot be relieved. He sees no reason why this would open the door to suicide on demand—and, from personal experience, is sure that the extension is needed. In 1996 Mr Fletcher became paralysed from the neck down in what he calls his “quintessentially Canadian accident”: his car hit a moose. For months he was conscious but unable even to breathe unaided. A few years earlier Canada had been transfixed by the case of Sue Rodriguez, a motor-neurone-disease sufferer who had petitioned the Supreme Court for help to die before she found herself similarly incapacitated. In 1993 it ruled 5-4 that anyone who aided her faced prosecution. Soon afterwards Ms Rodriguez took her life with help from an MP who had supported her through the court hearings, and barbiturates provided by an anonymous doctor; no one was ever prosecuted. Mr Fletcher’s health improved: he no longer needs a ventilator and can speak again. But if doctor-assisted dying had been allowed at the time of his accident it would have given him peace of mind, he says, “to know then that I would not be forced to linger on and die a horrible death”. Canada’s parliament rose for summer recess on June 19th, meaning that Mr Fletcher’s bill has run out of time. But Canada may soon get something along the same lines, all the same. In February, in a case very similar to that of Rodriguez, the Supreme Court ruled very differently, deciding unanimously that in so far as the country’s ban on the practice affected competent adults who clearly wanted to die with “grievous and irremediable” conditions that caused “enduring” and “intolerable” suffering, it violated constitutional protections to life, liberty and personal security. It delayed implementation for a year to allow parliament to respond. Since then, not much has happened. Parliament will not return until after an election in October. The government may ask for an extension—or simply miss the deadline. There is a precedent for procrastination. In 1988 the Supreme Court threw out the abortion law and bills to replace it were defeated by an unlikely coalition of pro-choice MPs and pro-lifers who regarded the proposals as too soft. The government then gave up. Ever since, Canada has been one of very few countries with no law on abortion (it is available because of an act guaranteeing access to health care). A reprise would be a failure of political leadership, says Mr Fletcher. But the Supreme Court’s ruling set fairly precise parameters for doctor-assisted dying (which are, as it happens, strikingly similar to those set out in his bill), so there would not be a free-for-all. Doctors, though, would prefer regulation. Otherwise, they fear that decisions would be inconsistent and the boundaries would be stretched over time. Groups that lobby for disabled people’s rights generally reject doctor-assisted dying. Disabled people themselves are split. Restricting it to the terminally ill is impossible, since prognoses are unreliable, says Baroness Jane Campbell, a British life peer with severe spinal muscular atrophy who opposed Lord Falconer’s bill. She gives her own example: when she was a baby, her parents were told she would not live longer than a couple of years; she is now 56. And she argues that basing a law on the idea that someone could be so ill or disabled that they would prefer to die is tantamount to declaring their lives of lesser value. By contrast Stephen Hawking, probably the world’s best-known person with motor neurone disease, has said he would consider assisted suicide (though not yet: he has too much physics still to do). “To keep someone alive against their wishes is the ultimate indignity,” he said. And a poll in Canada found a majority of disabled people in favour of Mr Fletcher’s bill. 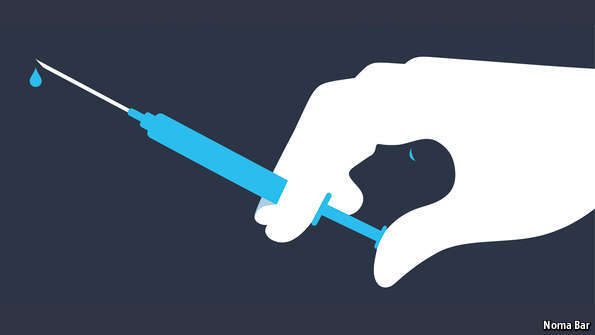 The Netherlands and Belgium allow doctor-assisted dying in many more circumstances than Oregon—and permit doctors to administer the lethal dose intravenously, rather than requiring patients to take it themselves, usually in liquid form, as in both Oregon and Switzerland. In the Netherlands, it is available for people experiencing “unbearable suffering with no prospect of improvement”, and for terminally ill children over the age of 12, with parental consent. 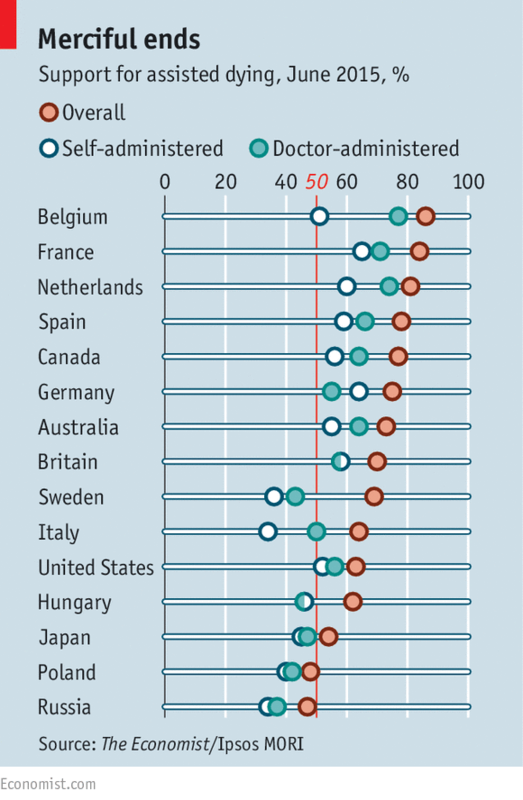 Around 3% of Dutch deaths each year are doctor-assisted, the world’s highest rate. But it is Belgium that has stretched eligibility furthest. Last year it scrapped all minimum age limits, though children can only be granted assisted dying if they are close to death and in great pain. Both countries have good palliative care by international standards. 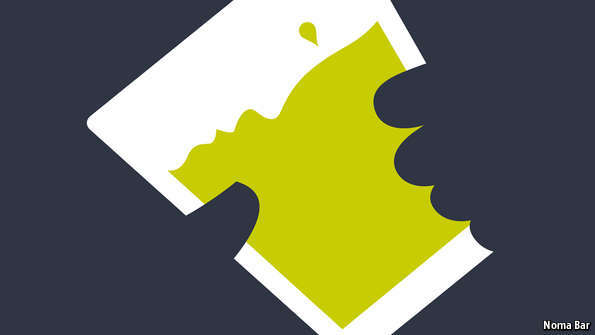 A 2008 study concluded that the movement to legalise doctor-assisted dying in Belgium had promoted improvements to end-of-life care more generally, and that the existence of good palliative care made legalisation ethically and politically acceptable. In Oregon, palliative care also improved after the Death with Dignity law came in. A survey of doctors found that having to prepare for conversations about assisted dying had nudged the majority to learn more about terminal patients’ other options. Doctor-assisted dying was widely discussed in the Netherlands for decades, says Annelien Bredenoord, a medical ethicist at Utrecht University’s hospital. The start of the debate can be traced to 1971, when a village doctor accepted her stroke-afflicted mother’s request to help her die; a court imposed only a token punishment. The case sparked the founding of the Dutch Union for Voluntary Euthanasia, which brought more court cases to get the issue onto the agenda. Over time, courts defined increasingly clear conditions which doctors had to follow to be safe from prosecution. By the time the system was enshrined in law, it had been tested on a semi-formal basis for over a decade. Yet even as consensus was forming, contradictions were emerging. In 1993 Dr Boudewijn Chabot, a psychiatrist, was prosecuted for carrying out euthanasia on a woman suffering intolerable psychological pain because of the deaths of her two sons. A court accepted that intolerable suffering could be mental rather than physical, but it remains a fraught issue. Guidelines warn that patients whose suffering is caused by psychological illness or depression may not be mentally competent to request assistance to die. Though 90% of assisted-dying cases in the Netherlands involve cancer, heart ailments or neurological disease, the share involving mental suffering is creeping up. In 2002, the first year the law was in force, there were no such cases; in 2013 there were 42. The past decade has seen a rapid rise in the number of assisted deaths. The first national census of Dutch doctors’ end-of-life practices was in 1990, when assisted dying was tolerated, though not legal. At the time, it accounted for over 2% of all deaths. The share dropped after the law came into effect, falling to 1.3% in 2005. Since then the number of assisted deaths has risen by about 15% per year. In one sense this rise is not surprising: the aim of shifting from decriminalisation to full legalisation was to move from the grey area of doctors’ discretion to the clarity of a law with multiple safeguards. But it appears that this shift has not fully taken place, either in the Netherlands or, more especially, Belgium. In the past 15 years terminal sedation—increasing drug doses to maintain deep unconsciousness until death—has become widely used in many countries to control dying patients’ fear and agitation. A survey of health professionals in Belgium, Britain and the Netherlands by Professor Seale found that in Britain it is used more conservatively than in Belgium and the Netherlands. British doctors are also more likely to discuss end-of-life decisions with colleagues and patients or their relatives. In most places, the medical establishment is opposed to laws on doctor-assisted dying, though the national medical association played a big part in legalising it in the Netherlands, and its counterpart in Belgium shifted to neutrality as that country’s law was being framed. That opposition has deep roots. “Nor shall any man’s entreaty prevail upon me to administer poison to anyone; neither will I counsel any man to do so,” runs the Hippocratic Oath, written nearly 2,500 years ago. But there are signs of change. Though the American Medical Association remains opposed, shortly before the vote in Sacramento the California Medical Association altered its stance to neutral. Late last year a survey by Medscape, a website for health-care professionals, found that for the first time more than half of American doctors were in favour. Polls of British doctors found most thought that the British Medical Association (BMA) should drop its opposition, and that a third of specialist doctors wanted assisted dying legalised, a rise from previous polls. Doctor-assisted dying seems not to weaken public faith in the medical profession: surveys show that doctors are trusted as much where it is allowed as where it is not. A more subtle fear is that when it is legal, patients may feel pressured to ask for it. “Patients believe you know far more than they do, and they’re frightened,” says Baroness Ilora Finlay, the president of the BMA and a life peer. “If they say, ‘I just want to die,’ you can say, ‘Do you want me to process your request?’ If you go down that path you’re saying: ‘Your fears are justified.’” She is against assisted suicide, but thinks that if it is permitted, it should be provided through courts, not doctors.